In his book, Stillness Speaks, Eckhart Tolle says, “Death is not the opposite of life. Life has no opposite. The opposite of death is birth. Life is eternal.” Easter presents us with an opportunity to realize this truth in an expanded and meaningful way through the example of our brother and way shower, Jesus. 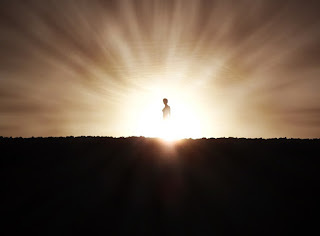 It doesn’t matter whether we believe that Jesus’ physical body was resurrected, or that he animated what Unity cofounder Charles Fillmore referred to as the light body, or that the stories of his appearances after his death were apparitions, or none of the foregoing. What matters is that we recognize the central message of the story – Eternal Life. We will begin to comprehend eternal life when we realize that what would appear to be evidence of the death, even death of the physical body, as in the story of Jesus on the cross, is not death at all but simply the transmutation of energy from one form to another. Nothing dies. Even the physical body is eternal. Granted it does not maintain the same structure, but the energy which comprises the physical body does not die; it changes form. We celebrate the resurrection because we believe that through the resurrection Jesus dramatically demonstrated the central message of Easter – Life is Eternal. Through the resurrection Jesus proved to his followers, all of us, that death is not real. Only Life is real and eternal. And, the Life that is real is the animating, vitalizing, energetic Essence that imbues all creation. That which we call death is a name we assign to an experience that occurs at a particular point in time and space at which a transition takes place. In a person, this transition is a shift in the awareness of the individuated God-Essence from focus through a body back to a constant awareness of unity in God. In Spirit, the concept of death is meaningless. Life, another name for ‘God’ does not die. It is constantly moving, expanding and evolving. What we think of as the body is a temporary vessel through which a specific individuated essence of Life/God expresses for a period of time. The essence of Life/God is never contained within a human body or any physical form. Life/God animates a body, but is never defined by it. When we awaken to the reality of Eternal Life, the essential message of Easter, we are “saved.” We are saved from the “hell” that we create in our own minds because of the fear of death and our mistaken belief that we can be and somehow are separate from Life/God. 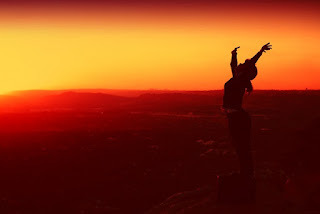 We are free when we surrender to the Eternal Life that expresses in its fullness in every moment and trust that even though it may appear to us that something has died, that in truth it is only in a state of transition, whether it is the body, a relationship, a job, a hope or a dream. We follow Jesus in the way of the crucifixion and resurrection every time we are willing to let go of pain and resentment of the past and our longing for a specific future, and instead surrender to the Eternal Life that is present in each moment. Each time we connect with, accept and allow the Life that is moving in us, through us, as us, and all creation in each and every moment, we are “saved,” and we are resurrected in the awareness of new life. That is the “salvation” promised by the crucifixion and the resurrection of our way shower Jesus. I encourage us to allow today to be a day of “salvation” for us all. Let today be the day we free ourselves from the “hell” of our own making by surrendering to the Life that is the only enduring truth. Let us allow the pain and resentments from the past and attachments to a future to “die” away and welcome transformation. Earlier this week, I had the opportunity to make the short trip to Evergreen, CO to the home of a wonderful couple. The husband, Devraj, is originally from India and was raised in the Hindu tradition. Their home is decorated with rugs, sculptures and wood carvings from his homeland. I was in awe, not only of the artistry they exhibit, but also of the spiritual significance of many of them. 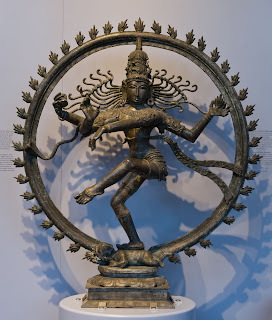 I was particularly captivated by a statue of Shiva Nataraja, similar to the one pictured below, in the home’s entryway. Wanting to make a personal connection with the Devraj, I told him that I know very little about the Hindu deities, but that I recognized this as Shiva, the destroyer. My comment prompted a more in-depth conversation. Devraj explained that the word ‘destroyer’ often has a narrow and negative connotation and typically evokes images of physical destruction or death for many people in the West, but that in the East, the meaning is more nuanced. He pointed out to me that the sculpture is rich with symbolism. It depicts Shiva Nataraja as the Lord of the Dance dancing on the demon Apasmara who represents evil and ignorance. This signifies that Shiva destroys false perceptions, judgments, concepts and ideas that are born from fear and ignorance which when acted upon result in “evil.” Further, even though Shiva is the “destroyer,” he is also a creator. Something must die before something new can emerge. Shiva destroys ignorance so that new ideas can be embraced and something different can be manifested. Additionally, he is shown dancing in a circle of flames which signifies the circle of life, complete with all its varied experiences. I encourage you to read more about the powerful symbolism of this image. I shared with Devraj that his explanation of the symbolism reminded me of a depiction of Jesus’s resurrection (below) from the Eastern Orthodox church which I was introduced to recently during the Universal Christ Conference in Albuquerque. The image shows the resurrected Jesus victoriously standing on Satan and reaching out to Adam and Eve. 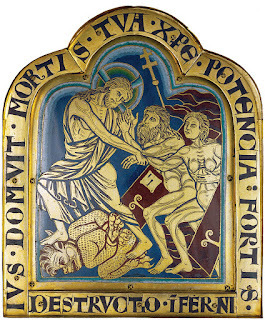 In traditional Christianity, this depiction might be interpreted literally as the resurrected Jesus destroying Satan, the personification of evil, and saving Adam and Eve who represent all of humanity, from the fires of hell through his crucifixion and resurrection. In Unity, however, we interpret it metaphorically and metaphysically. In Unity, Satan represents our own states of ignorance, thoughts of separation and fear which may demonstrate in ways that one might call “evil.” The resurrected Jesus standing on Satan represents the power of the Christ consciousness to overcome our belief in separation. That the resurrected Christ is reaching out to Adam and Eve, all humanity, signifies that we can all be raised to Christ consciousness. While in the Christian tradition crucifixion (destruction) resurrection (new creation) are one-time events, in Unity we understand that they are representative of the continuing cycle of life as is depicted in the Shiva sculpture. I encourage us all to remember that the power to transform our consciousness and create a new life lies within us, not in an external power. For most of us, each day provides us with multiple opportunities to embrace the dance of life, to honor the Shiva or Christ within us, and to overcome our own Apasmara or Satan - our beliefs in separation, our states of ignorance and our inclinations to act from them. I am grateful for the opportunity to learn more about Shiva Nataraja and how this imagery is so closely aligned with imagery of the resurrected Jesus. It is yet another powerful reminder that there is Truth in all spiritual traditions and that we are more similar than we might know. Often, liminal space can be uncomfortable. Even if we have been dissatisfied with what has been and are ready to move to something new, it can be scary to let go of what is known and move into a space of the unknown. It can be more unsettling to sit in that liminal space and wait for clarity about what’s next. While we all have these experiences, most of us are not sure how to move through them with grace and ease. I confess that I often find it challenging. However, having this new frame of reference has given me a more relaxed perspective on these periods of being with not knowing. It requires us to engage our spiritual practices. I offer some thoughts that I hope will be helpful. In her book, On Death and Dying, psychiatrist Elizabeth Kübler-Ross identified five stages of grief. They are denial, anger, depression, bargaining and acceptance. When we understand that being in liminality most often involves letting go of something or someone we have known, or a way in which we have known ourselves, we can also understand that it naturally includes an element of grief. We will most likely go through some, if not all of these stages and emotions. It is important to be present with ourselves in this process. Allow ourselves to feel the emotions without resistance or self-judgment. 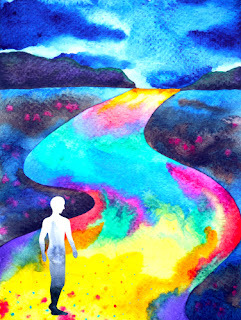 While liminal space is often uncomfortable and disquieting, we can take comfort in knowing that by accepting ourselves right where we are and embracing all that we are experiencing, we can and will move through it and toward a renewed sense of knowing and meaning. At times, it can sometimes seem that we are in an eternal space of liminality. It may feel as though we will never again land in a place of peaceful knowing. Even so, it is important to maintain hope, which dictionary.com defines as “the feeling that what is wanted can be had or that events will turn out for the best.” It may seem contradictory to suggest that we maintain hope in the midst of grief, but it is essential to hold onto a sense of expectancy. The liminal space holds a great deal of potential and possibility if we are willing to be present and move through it. It is helpful to recall times in the past when we have experienced liminal space. In my life, moving from working in the insurance industry to being in ministry was one such period. I knew that I had the calling to ministry, but often it seemed that the period of liminality, the time of not knowing when, where or how it was going to happen, was interminable. There were times when I felt hopeless. It took years, but it did happen. When I am in liminal space now, it helps to reflect on that period. When I feel doubt and frustration, remembering that I have experienced this space before and that I have moved through it to a new and more expansive space, restores my hope. Additionally, being in liminal space requires courage. Facing the unknown can stimulate fear. Even though I knew that the insurance industry was not my calling, it became a comfortable and safe career. I knew how to do my work, and I was good at it. I had no idea how to “do” ministry. It required courage to take that leap of faith and leave my job along with the financial security I enjoyed. Yet, I knew that I had to do it. I knew that it was the only way I could set my soul free and realize my potential. I am happy to now have a word for this experience. I am also heartened to know that the discomfort of liminality is a shared human experience. It may seem odd, but having it named and discussed openly gave me permission to have the experience and offered me solace for being in it. When you find yourself in liminal space, take heart. You are not alone. Breathe. Feel the feelings. Stay present. Hold on to hope. Gather your courage. Take the next step and the next. Realize the potential and possibility existing in liminality. It is not something to avoid, but another experience to live. Live Liminality. There is beauty in it, from it. If you have been following my posts for the past few weeks, you know that earlier in the month my body experienced illness. I was, for all intents and purposes, down and out for the better part of two weeks. During that time, I mostly rested to allow my body time and energy to do the miraculous work of repairing itself. Over the past couple of weeks, I have been regaining my energy and slowly resuming my usual daily activities including exercise. As I resumed my exercise program, I was surprised by how quickly I tired, especially when riding the stationary bicycle or doing other cardiovascular workouts. Realizing that my body had been through a challenge, rather than push it, I decided to give myself permission to take it slowly and only do what was comfortable. I chose to be kind to myself and treat my body with loving attention. Prior to the illness, I was able to easily complete at least an hour of steady exercise. When I began to resume my program, I was only able to comfortably complete twenty minutes maximum. Although I am not yet back to my pre-illness level, I continue to gain stamina. Even though I am making conscious choices to love myself, I still have opportunities every day to remind myself that it is okay to be right where I am. I may not yet be where I want to be, but each day brings me closer to my goal of renewed strength and vitality. It is a powerful reminder of how destructive this sort of self-talk can be. No matter where we are in our lives, what situations we face or circumstances we are dealing with, it is never helpful to blame, shame or verbally or mentally berate ourselves. When we are faced with a life situation or situations that we do not enjoy and would like to see change, it is essential that we do not engage in “coulda-shoulda-woulda.” That mindset cannot and will never lead to the kind of change we desire. It is based in fear, not love, and will only continue the cycle of fear-based thoughts, feelings and actions which can only produce the effects that reflect the same. “Coulda-shoulda-woulda” places us in the role of a victim – a victim of our past – and keeps us stuck. Rather than remaining stuck in the past, it is essential that we do our best to bring our awareness into the present and to move forward from there. I offer some suggestions from my personal experience. Take a deep conscious breath. Bring your attention to every aspect of the breath. Breathe in through your nose and notice the slight flaring of your nostrils as you breathe in. Feel the temperature of the air as it enters your nasal passages. Follow the air as it flows into your lungs. Notice your abdomen expanding and your chest rising gently with the in-breath. Feel the air filling your lungs. When you feel full, inhale just a little more until you can take in no more air. Stop. Allow yourself to be completely aware of being filled with air. Now, consciously slowly exhale. Engage the diaphragm which rests beneath the lungs and gently expel the air through your nose. Again, notice the flow of the breath. Sense the temperature of the air as it exits your nostrils. Repeat. Repeat. Repeat. Consciously attune to your physical senses. Wherever you are, look around. Pay attention to the light that is reflected from the objects, animate and inanimate, in the space where you are. Take in the colors, textures and shapes. Tune in to sound. Try not to label the sounds, just let them be waves of energy that your ears receive. Be present for the sounds. Listen for the silence between the waves of sound. Feel the clothing as it touches your body. Notice whatever is supporting your body, whether a chair, cushion, floor or other. Sense the energy of the sentient beings in your space. Tune into the energy of any other life forms around you. Pay attention to the thoughts that are arising in your mind. There is no need to understand them, just notice that thoughts are constantly arising in your mind. Allow them to be there without any attachment or resistance. Just notice. You are awareness. You have dominion over what you are consciously aware of. You, and only you, have control of the thoughts you attach to and identify with. You have the power of choice in every moment, and you exercise that power whether consciously or unconsciously. Now is the only moment that exists. Only now can you think. Only now can you breathe. Only now can you feel. Only now can you know. Only now can you have a sensory experience. Only now can you choose. Only now can you be consciously aware of now. Focus all your attention in the present moment where “coulda-shoulda-woulda” has no meaning. Allow everything that is to be exactly as it is. Allowing releases the concept that there is anything that, or anyone who is, unacceptable. This does not require that you resign yourself to the present condition or circumstance. Allowing is the choice to be at peace with what is and to extend love to self and others. It also creates a quiet, calm, open mind ready to receive inspiration and expansion. Stop trying to change the external. Rest in the awareness that all is well. In this moment, right where you are, nothing is missing. This moment is complete in itself, as are you. Open your inner senses, your spiritual senses, to hear, see and know beyond the concepts of time, space and form. You are eternally one in the Infinite Knowing of the One. Set an intention to know that that which you are seeking you are seeking with, that which you are listening for you are listening with, and that which you seek to know is the Knower knowing Itself as you. In this space of abiding conscious awareness know that you receive guidance and inspiration. Trust what you receive. Take the inspired action. Have faith that each step you take brings you closer to the fulfillment of the change you desire. Take time every day, even if just a few minutes, to check-in with yourself. Notice if you are falling into any “coulda-shoulda-woulda” thoughts. Do yourself a favor. Stop! Revisit the steps above. Reset. Move from fear to love. Align your being with the love you already are. In my meditation this morning, after reading, contemplating and digesting more of Starcke’s book, an image came to my mind. I was standing between worlds. I saw myself having one foot in the material world and the other in the spiritual world. 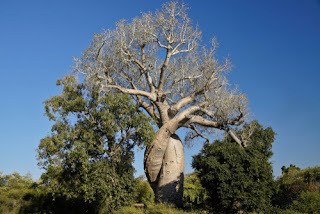 It was as though I was a tree firmly planted in both worlds, my feet the roots, each of my legs a trunk which merged into one perfect majestic expression of both the spiritual and material. Starcke asserts that it is possible for each of us to follow the example of Jesus, the Buddha and other masters who walked in this world as fully conscious beings. 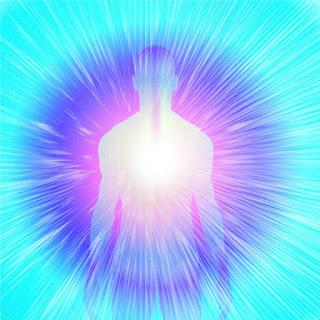 Fully conscious of themselves, others and all creation as physical expressions of Spirit. We have the capacity to live fully conscious of the “double thread,” to know our spiritual truth as one with God, Source, Life, Creation, or by whatever name or nature you know It to be. And, to simultaneously be fully conscious of every aspect of ourselves and our connection with the material world. We can be aware of our physical bodies, make conscious choices to support our well-being, eat nutritious food, rest, and move while also being fully aware that we are so much more than our bodies. We can know that we are perfect, whole and complete as “humanized spirit,” ² while also being aware that there are aspects of our personality, behaviors and life situations that we would like to change. When we can observe the “double thread” we can see ourselves from a consciousness of love and respond from love. When we are aware of and can live from the consciousness of the “double thread” we can extend that love to others as well. We can observe the behaviors of others that we might judge as unloving or even evil, and rather than condemn them, we can extend them love. This does not mean that we condone unkind or unloving behavior. Instead, from the awareness of the “double thread” we can choose to see them as their perfect, whole and complete spiritual truth and choose to see their actions as stemming from their ignorance, or lack of conscious awareness of their spiritual truth. 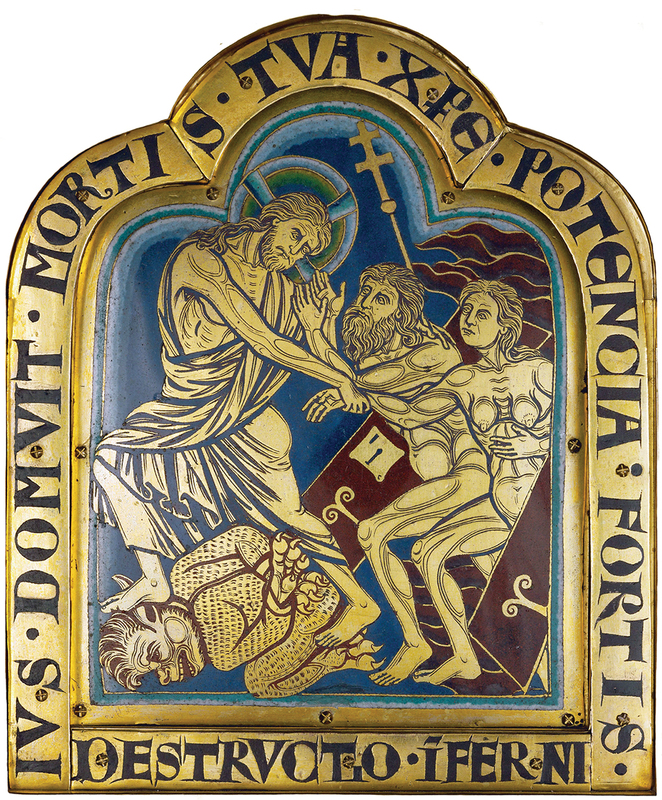 The master teacher Jesus said while being nailed to the cross, “Forgive them, for they know not what they do.” He was able to observe the cruel actions of the Roman soldiers holding the spikes and hammer while also being able to see through their actions to their spiritual truth. He was saying that they were not conscious of what they were doing to themselves by taking this action, nor were they aware of their unity with Spirit, with him and with all creation. Jesus was consciously aware of the “double thread” for himself and for the soldiers and was able to extend that consciousness even while being tortured. Again, this does not mean that we are asked to approve of or abide unloving behavior from others. We can make conscious choices from a place of self-love, self-compassion and self-care that support our physical, mental and emotional well-being. 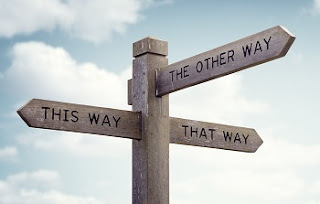 Choices made from a conscious awareness of the “double thread” rather than from the consciousness of fear and separation will move us in the direction of our highest good and the highest good for all. As I contemplate the concept of “double thread” and consider it in relation to the creation story in Genesis, I connect with a deeper truth in the myth. Created as the image/likeness of God, humans are endowed with the capacity to fully know ourselves subjectively in spiritual consciousness and objectively in material form. We are created to consciously commune with God and with creation. The Garden of Eden represents a state of conscious awareness of the unity of both aspects of our nature. We separate ourselves from the consciousness of oneness in God and unity with all creation when we “eat the fruit from the tree of the knowledge of good and evil,” in other words, when we judge ourselves, others or the world around us. It is only then that we begin to suffer. The good news is that we are not victims of the serpent, Satan, or any external force. We have the power to choose to connect the “double thread” and live in the conscious communion. When we do, we will realize that “It’s All God” and will enter the Promised Land which is our birthright. Over the past two weeks, my body has exhibited congestion, fever, aches, lack of energy and loss of appetite. In the past, I’ve had colds, stomach viruses and various allergies, but none of them has taken me out of commission for as long as this most recent experience. Through it, I have had ample opportunities to practice spiritual principle, ignore spiritual principle, question spiritual principle, and contemplate what I truly believe about the concept of healing. The New Thought movement of which Unity is a part was born from the “mind cure movement” of the late nineteenth century. Tracing our history, we encounter people such as Franz Mesmer who at first used magnets as tools for healing. As he was going to a healing session one day, he realized that he had forgotten his magnets, but went to the appointment anyway. Even in the absence of the magnets, his patient experienced a healing. Through this experience, he discovered that the power did not lie in the magnets but in the power of the mind to affect healing in the body. Others who were instrumental in the development of the New Thought movement include E.B. Weeks who helped facilitate healing for Mary Baker Eddy who later founded the Christian Science church; Eddy’s student, Emma Curtis Hopkins, who became known as the “teacher of teachers;” and her students Charles and Myrtle Fillmore cofounders of Unity, Ernest Holmes founder of Religious Science, Malinda Cramer and Nona Brooks cofounders of Divine Science, and others. Each of these leaders of the early New Thought movement embraced the idea of the power of the mind to affect healing in the body. Unity cofounder Myrtle Fillmore is famous for healing herself of tuberculosis which at the time was considered a fatal disease. We most often think of “healing” in terms of an observable physical affect as in the example of Myrtle Fillmore. She is said to have experienced a healing because, after a time, her body no longer manifested the symptoms of tuberculosis. Her body was restored to what we have agreed is the desired natural state of wholeness and health. Quite often, for those who subscribe to the belief in the power of the mind to heal, metaphysical guilt results when their body does not conform to their idea of health. One might question whether they are not strong enough in their belief or not doing it “right” and feel guilty. Therein lies the issue. When we evaluate “healing’ based solely on the external demonstration of our personal ideas of how “healing” is supposed to look, we limit ourselves and each other and we misunderstand and misinterpret the foundation of our teaching. Over the past two weeks, I have meditated on and contemplate the question, “What is healing?” It helps that my quest has been supported by the ideas of others including Walter Starcke in his book, It’s All God; Paul Selig in his channeled work I Am The Word; and Matt Kahn in his YouTube videos and most recent book, Everything is Here to Help You. Yes, I am currently reading all of these as well as Richard Rohr’s latest release, The Universal Christ, How a Forgotten Reality can Change Everything we See, Hope for and Believe. I highly recommend them all. Healing, at its foundation, has little or nothing to do with any condition but is a conscious decision and an internal process which may or may not result in the outer demonstration that our personality believes would be evidence of “healing.” Having said that, the body may, in fact, demonstrate a return to a state of vitality, easy flow of energy and movement as it did with Myrtle Fillmore. It is important for us to recognize and accept that whatever occurs in the physical as a result of what I am calling “healing” will be in alignment with the highest purpose and desire of one’s soul or higher self. Each of us is a perfect, whole, complete expression of God, created as the image/likeness of God. We, in Unity, often refer to this as our Christ nature or I AM. In alignment with Charles and Myrtle Fillmore, authors Starcke, Selig, and Rohr concur – the Christ or I AM is our true nature. Healing, which is actually Truth remembered, is necessary because we have been taught and we believe that we are something other. No one is at fault. We are products of our cultures, our religions and the prevailing belief systems of the collective unconscious. We realize wholeness as we remove our focus from the outer condition. Know that we are not in any way defined by our body, our life situation, financial status, relationships or our limited beliefs. Take into our minds, hearts and spirits our true I-dentity which is – I AM, the Christ. Know it at the depth of being; do not just accept it as a belief. Meditate on it. Contemplate it. Be still and know the Real-I-Is the Christ. The I Am, the Christ, is the only begotten, the one expression, the only idea in the One Mind for all creation. As his title The Universal Christ implies Richard Rohr asserts that ‘Christ’ is another name for every thing in existence. When we recognize this truth, the perceived separation is erased from our minds and oneness is remembered. Healing is the recognition that each of us is the Christ and so is all of creation. While it may result, healing is not solely about a change in any condition. Healing is choosing to know God through any and all conditions. When we “know” our true I-dentity, we can more fully know the true identity of others and of all the manifest world. When we know that truth, our thoughts, words, and actions reflect the truth we know. Love is revealed in all we say and do. None of the foregoing is meant in any way to negate the New Thought teaching on the power of the mind to affect physical demonstration, but is instead intended to support it. When we realize our wholeness, recognize our oneness with all creation and reveal Love through all we are, healing happens. In the space of healing, we are open and receptive to guidance from our inner knower that will lead us to take action that supports our soul’s highest good. In Myrtle Fillmore’s case, she was guided to spend time blessing every aspect of her body, change her diet and spend time in the quiet. All these led to her being relieved of the physical symptoms of tuberculosis. I trust that her soul’s highest good was served. Of course, she went on to cofound the Unity movement through which millions of lives have been transformed. I urge us not to compare Myrtle’s experience with our own lest we judge ourselves as inferior spiritually. Each of us is on a unique soul journey. Claiming our healing as I have outlined aligns us more fully and completely with our soul’s purpose. We cannot always know from a personality perspective what is in our soul’s highest and best good or what will best serve the whole. Often, it is not what we imagine it to be. But, when we accept our healing, we can trust and know that nothing that happens in our body or around us can in any way affect our Christ nature, our I AM. As we consider healing, I encourage us to as much as possible remove our focus from the condition however it may appear. Instead, focus on the eternal nature of the Christ within; open to the awareness that we are in no way defined by a body or any life circumstance; listen for the urging of our soul, our unique expression of God; follow the guidance of the still small voice of the spirit within; and accept we are each an aspect of the One evolving Itself in and through all. Release attachment to outcome. Trust that all is ultimately for the highest good. My body has continued to experience illness this week, and I have not had the mental capacity to write a new post. I am sharing one that I first posted in 2015. The thoughts expressed capture much of what has been going on for me this week. I am happy to report that I am feeling much better and plan to present the lesson this Sunday. I will share more about my week’s journey then. If you are unable to be in attendance, the recording and video will be posted next week. Over the past week my body has been exhibiting symptoms of a cold. I detest having a cold. In addition to the stuffy head, coughing and headache, I have had very little energy for anything. Besides that, my mind has been foggy and my thinking muddled. I have been tempted to play the victim and tell myself that I am helpless to do anything but wait for the virus to run its course. I also find it tempting to make myself feel better with the notion that the Universe is forcing me to get some much-needed rest, an idea I do not give credence to by the way. I do not subscribe to the belief that the Universe (another New Thought name for God) is trying to teach me something. Nor do I believe that I draw illness or anything else into my life so that I can learn a lesson. I do, however, believe that I can choose to learn from every experience. While it is a subtle shift in perspective, I think it is an important one. I am feeling much better and with a clearer mind am able to reflect on what I can choose to learn from this experience. I have often heard the adage, “Physician, heal thyself.” It is a proverb quoted in Luke 4:23. In our common usage today it infers that one should follow his own prescription and do what he would advise others to do in a situation. In reflecting upon this past week, it occurs to me that I might say to myself, “Minister, heal thyself.” I wonder if I am like the physician who is good at prescribing for others but does not heed his own advice. Considering this past week, as I reflect on what I believe to be true about healing and wholeness, I must honestly admit that I can choose to more closely live the Truth I know in order to demonstrate healing and wholeness in my life. Through the words of our co-founders, Charles and Myrtle Fillmore, the Unity movement provides powerful teaching on healing and wholeness and how to demonstrate it in our lives. Myrtle Fillmore’s Healing Letters, a collection of letters Mrs. Fillmore wrote in response to prayer requests that were sent to Silent Unity, is a valuable resource for these teachings. I was particularly struck by one of her letters that affirms the power of prayer but seems to dissuade the writer from the belief that it is somehow magical. It affirms that while prayer is a powerful practice, it is not magic, and one must take personal responsibility for his or her own demonstration of wholeness. In her response to two statements from the writer in which he asks to be “sent some healing vibrations” and “to relieve us through Silent Unity healing,” Mrs. Fillmore reminds us all that the path to healing and wholeness is three-fold, involving all aspects of our being: spirit, mind and body. This three-fold path to healing and wholeness applies to all aspects of our life experiences, including physical health, financial well-being, our relationships with others, and self-expression through our chosen vocation and avocation. If we are to demonstrate the full expression of all the Good that God is as us, we must realize our Truth in spirit, mind and body. We know that the spiritual Truth is that each of us is an expression of Divine Intelligence, Substance, and Supply, that which we call “God.” As the allegorical story in the book of Genesis tells us, we are created in the image and likeness of God. God gave all of Itself at the moment of creation, and we eternally exist in this state of wholeness and perfection. We only “separate” ourselves from this state of being as we hold the belief that we can be separate. It is a state that can only happen in our minds. Thus, we must keep our minds stayed on the Truth. The mind, as we understand it, is more than our thoughts - it also includes our feeling nature. Since our thoughts and feelings are so closely interlinked, it is difficult, if not impossible to determine which comes first. There are those who assert that thoughts elicit feelings, and others will argue the reverse. Because they happen almost simultaneously in most cases, it is of little concern which arises first. For the purposes of healing and wholeness, it only matters that we are aware of our thoughts and feelings and that we intervene on those that are not in alignment with our Truth. Often, our feeling nature will alert us when we are out of harmony with our spiritual Truth. Any feeling that does not have its foundation in peace, love or joy can be our signal that our thoughts are off track and are in need of investigation and realignment. We establish a consciousness of healing and wholeness as we keep our thoughts and thus our feelings in alignment with the Truth of our being. It is this consciousness which establishes the foundation for the demonstration of life experiences that embodies the fullness of our Truth as it opens us to receive the divine ideas that we are to bring forth into manifestation and sets the stage for our action. The body, or the physical, is the final aspect of establishing the demonstration of Truth in any aspect of our lives. From the consciousness of Truth, we open ourselves to the wisdom, understanding and imagination, as well as other faculties of our nature which co-founder, Charles Fillmore, identified as “The Twelve Powers of Man.” We open to the guidance that is available to us in the quiet of our peaceful, loving, joyous minds and we use our powers of strength, will, and power to move forward and take the action that we are called to take in order to bring forth into the physical realm the manifestation of a body, career, relationships, and bank account that mirror the Truth of our nature as God in expression. When we are willing to allow another to hold sacred space for us and invite us into the consciousness of wholeness, we are often amazed and delighted by the insight that comes. In that space of conscious unity and in the clarity of connection we are more open to the guidance of Spirit and are able to hear what ours is to do in the outer to help affect a change in the condition. In my case, that could be going to the doctor, consulting with a nutritionist, knowing which herbal remedies to take, or any number of things I could do to help restore my body to its expression of wholeness. Thus, spirit, mind and body must be three-in-one, as one, in order that we may demonstrate healing and wholeness in all areas of our lives. Minister, heal thyself. Live the Truth you know. Practice what you teach.